Eric Boyer has been involved in creating, artistically and otherwise, since his childhood. 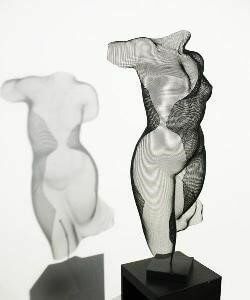 His work in wire mesh is a result of over twenty years of fascination with a material he discovered quite by accident, searching for a medium that he could best express himself with. Working by hand with leftover scraps of material at a blacksmith shop he was employed in, he gradually came to know the incredible expressive power of a medium most people, artists included, had never even heard of. Thus began a refinement and synthesis of all his art and design experiences; years of life drawing, carving in wood and clay-as well as the newly discovered mystique of metal work itself- as he learned the skills necessary to work with a material that is at once supple as clay, demanding and hard as steel, yet finite and woven, literally a fabric of wire. These playful experiments eventually led to his first exhibition, in 1989. If the sculptures don't exactly speak for themselves, they do not require much in the way of explanation. While the figurative works share his fascination with the human form, and the human history of image-making in and around that form, the "vessel" pieces are almost purely about the material itself as expression. Occasionally the figures have a story to tell: The Icon. A visual pun. An excuse for an obscure literary or musical reference. A new interpretation of greek mythology. 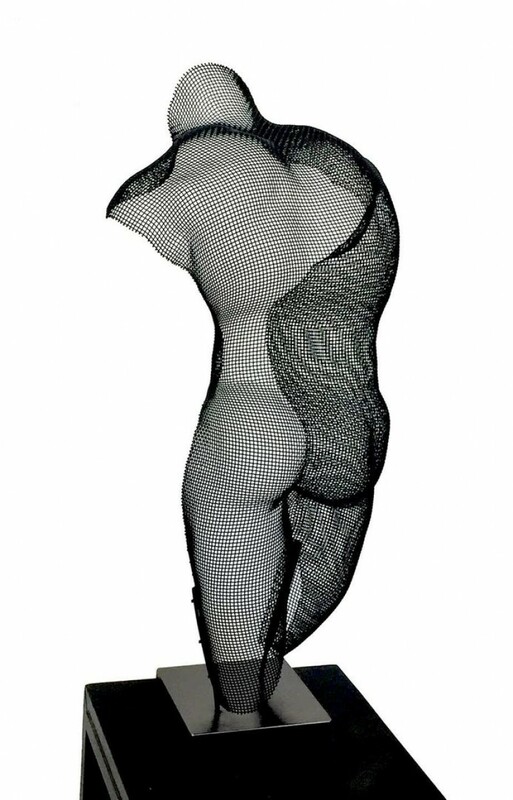 Yet the wire mesh itself is a material with no foreseeable limits as an artistic medium.